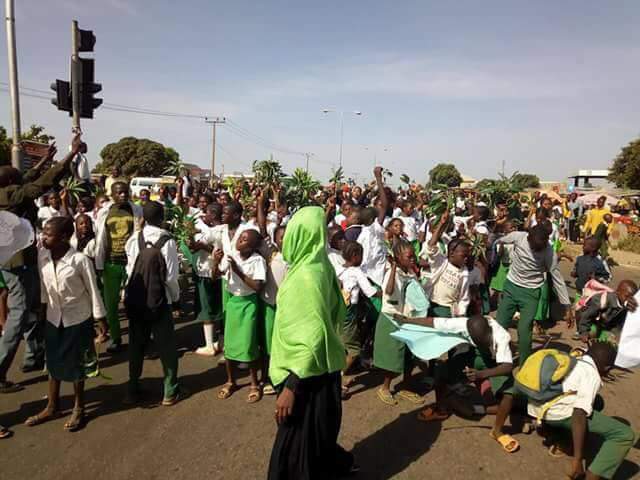 The Kaduna State Government has condemned in strong terms the use of primary school pupils for protests by teachers who failed the competency test. The government said it will not tolerate the reckless endangerment of minors by adults who are sending them to the streets. A government statement stated that it is unfortunate that the children who are victims of bad teachers are now being used as cannon-fodder by the same teachers. The government disclosed that it will take legal measures to punish the wrongdoers, assuring parents outraged by the reckless exploitation of young children by the unqualified teachers that it considers such conduct as unacceptable. Signed by Samuel Aruwan, spokesperson to Governor Nasir El-Rufai, the government statement described as callous and despicable the act of involving young pupils in illegal, politically-inspired demonstration. 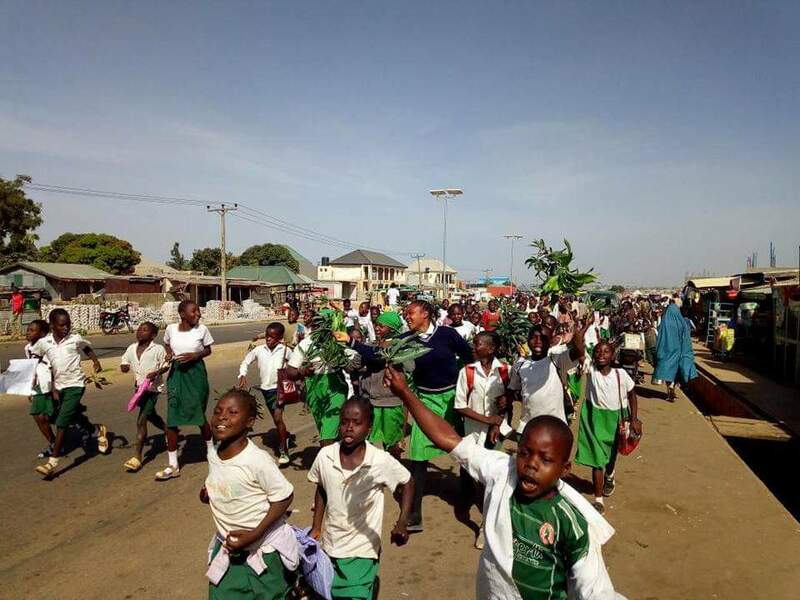 “The Kaduna State Government has received reports of primary school pupils being pushed to the streets by their unqualified teachers for illegal protests. These unlawful acts have included getting young children to block highways. “Government condemns this wanton disregard for the lives and safety of primary school pupils placed in the care of these unqualified teachers. It is grievous enough that bad teachers have been allowed to imperil the educational future of these children. But for these same teachers to endanger the children by asking them to block and lie on highways illustrates a chilling level of irresponsibility that no law-governed society can accept. “When parents send their children to school, they place pupils in the care of their teachers during school hours. Parents rightly do not expect teachers to teach their children hooliganism or endanger these minors by involving them in matters they are too young to understand. “These children are not union members. Our pupils are the victims of bad teachers who are evidently do not mind making these children cannon-fodder for their desperation. Exposing minors to hazards, and endangering their lives and limbs shows that some teachers want to jeopardize the present and future of these children. “These irresponsible actions by unqualified teachers at the behest of their union affront both morality and the law, including the Penal Code and the Young Persons’ Law. Those involved will bear the consequences. “Government hereby warns everyone to desist from illegal and irresponsible acts. Sound education is not a matter of sentiment. Parents who send their children to public schools have a right to expect decent tuition for their wards. Being poor should not mean that the prospects of their children should also be truncated. Nobody will be allowed to play politics with the future of our children, their education and their safety.